Adidas is suing fellow shoe peddlers Skechers, claiming in a lawsuit filed on Tuesday that Skechers’ “Onix” sneaker rips off the design of its “Stan Smith” shoe. The Stan Smith design is based on a 1963 shoe worn by tennis star Stan Smith, and features green markings on a white sneaker, with perforations in its signature three lines. The Onix shoe by Skechers is also a white shoe with green markings and perforations, though the holes are punched in a different pattern of five lines. 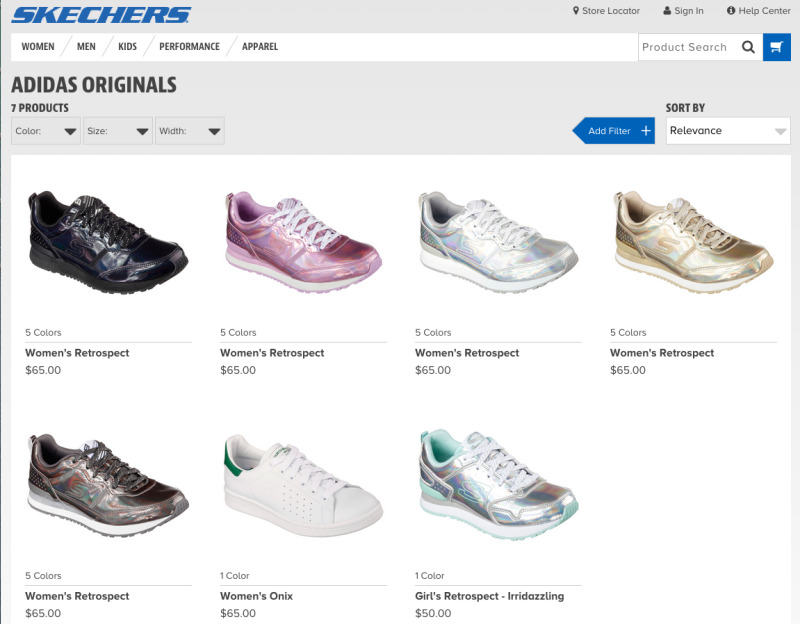 Business Insider notes that Skechers has to be aware of the similarities between the two shoes, as until today, a search for “Stan Smith” on the Skechers site brought up its Onix shoe. That same search now results in a dead end. “We believe Skechers’ unlawful behavior, which also includes misappropriation of adidas’ SUPERNOVA and Three-Stripe trademarks, needs to stop now,” the company said.